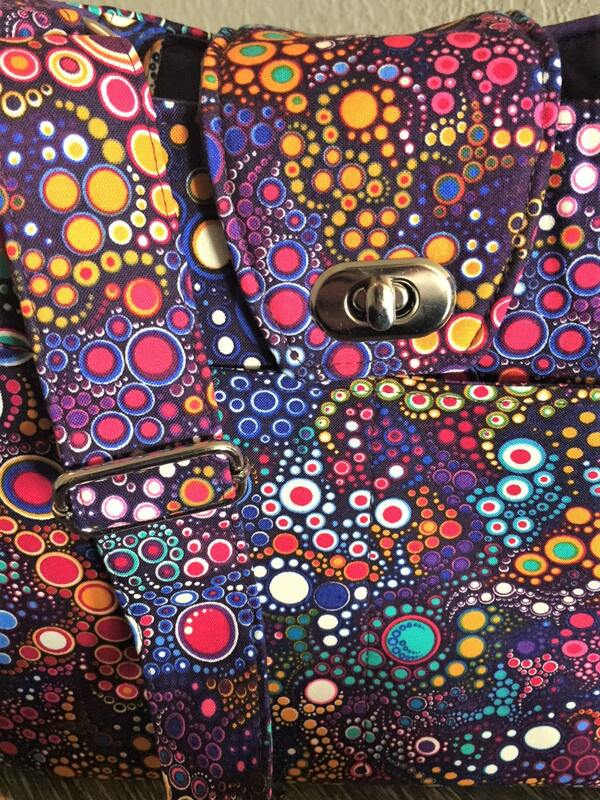 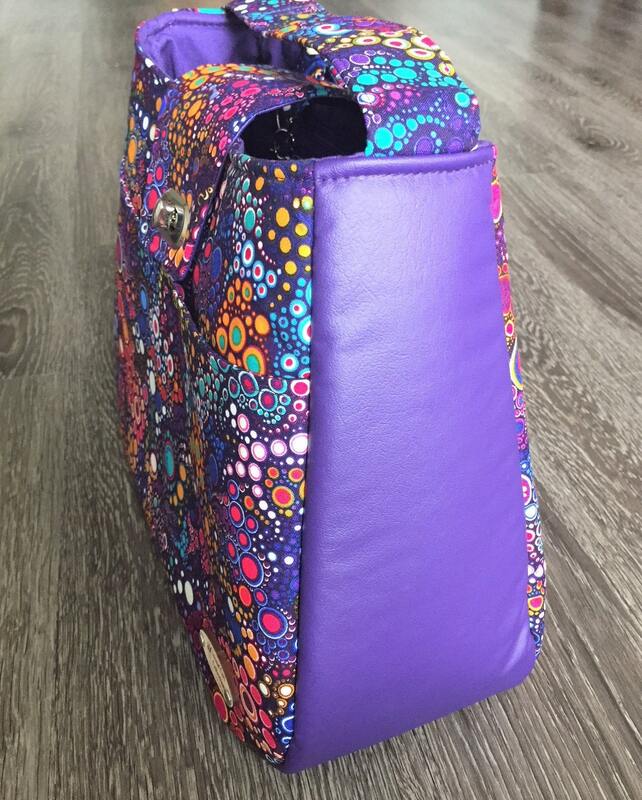 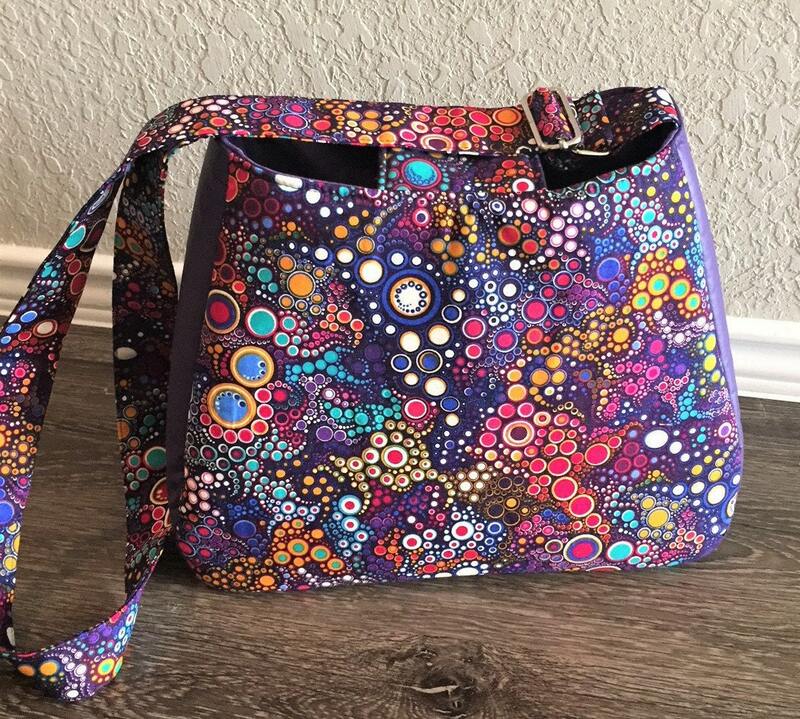 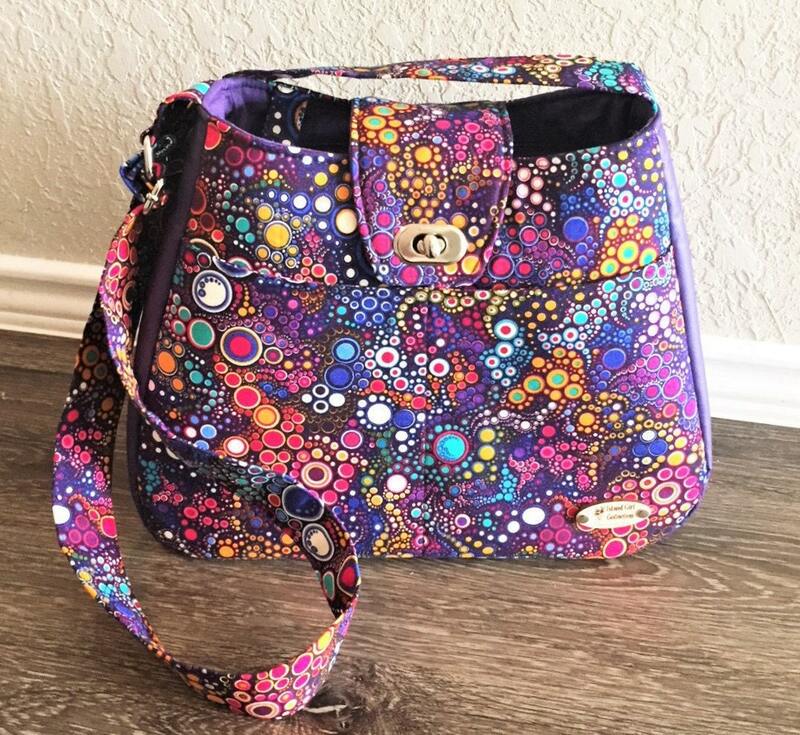 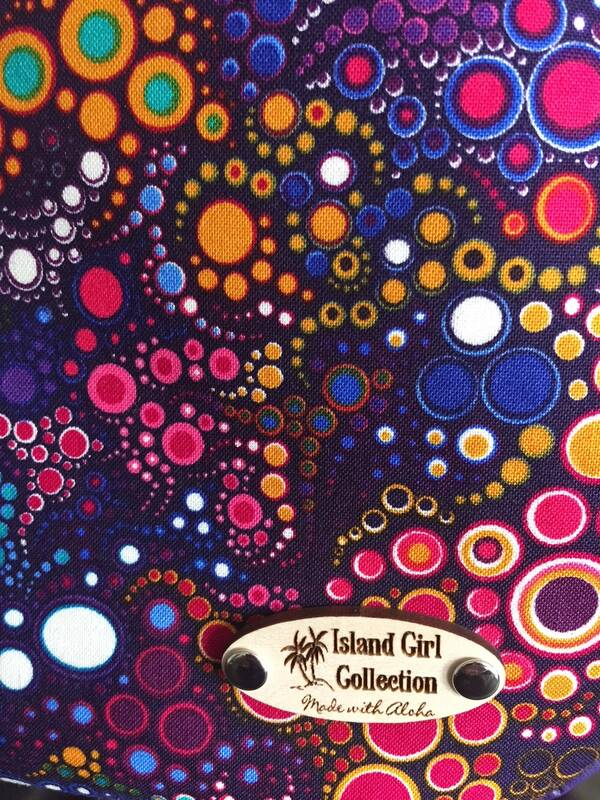 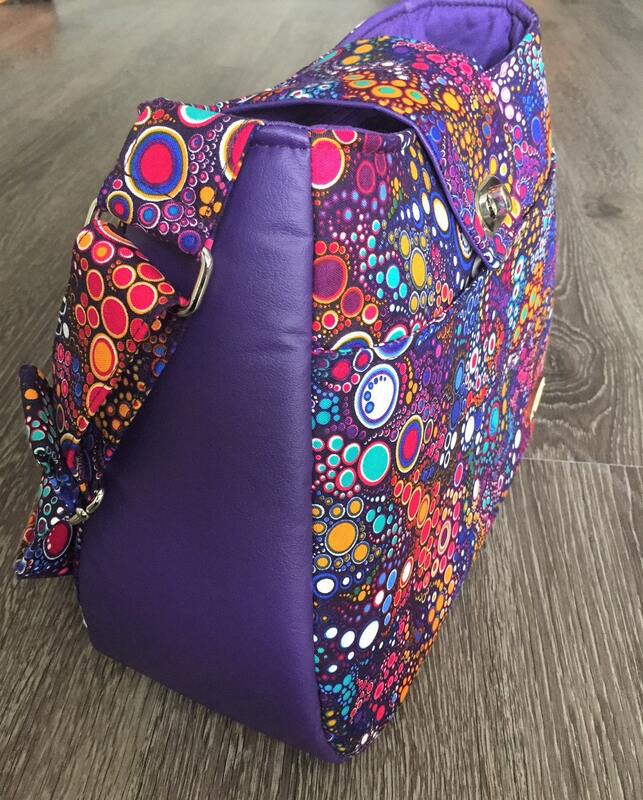 This generous size bag is made with a fun fabric that features an explosion of vibrant bubbles. 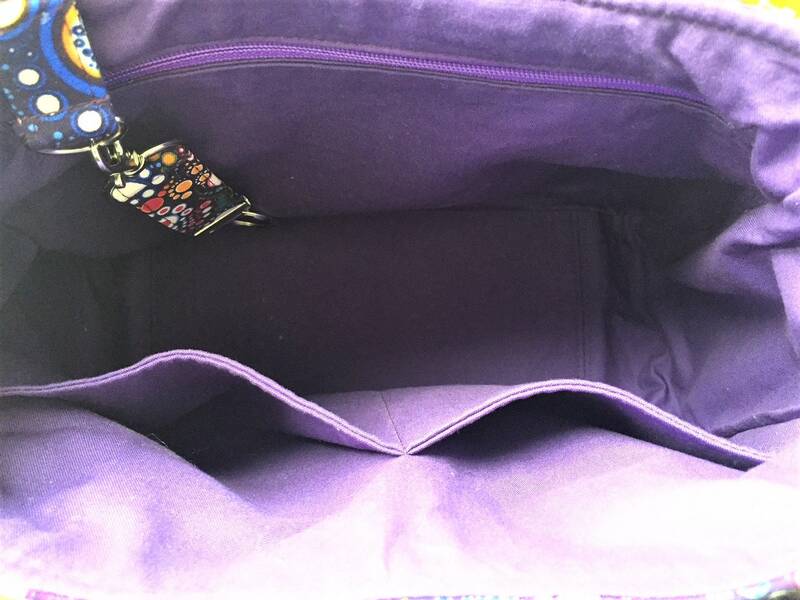 This bag has rounded corners, four slip pockets, two interior & two exterior and a zippered interior pocket. 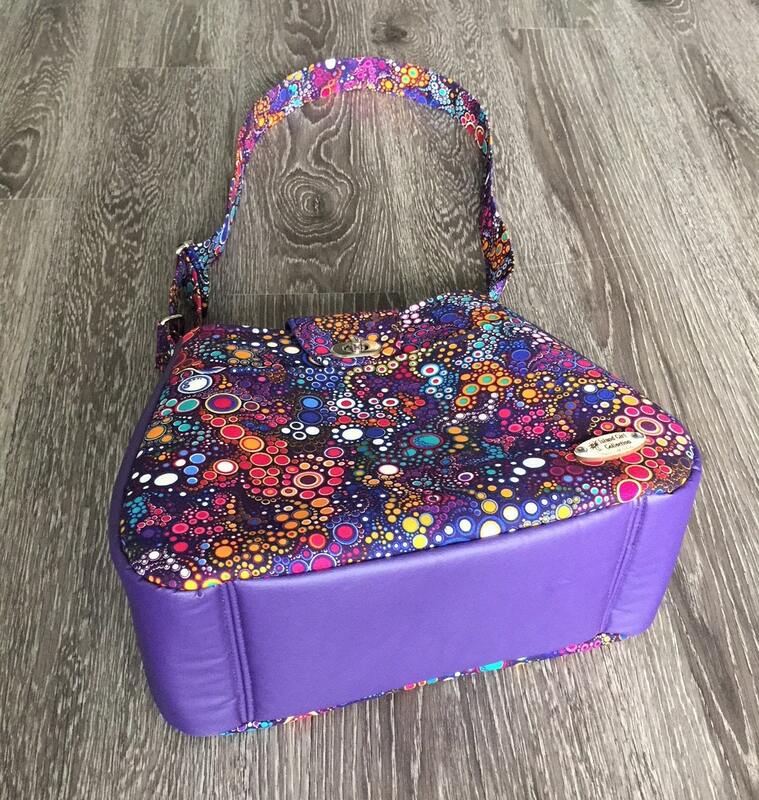 It has a twist lock flap closure and an adjustable strap. 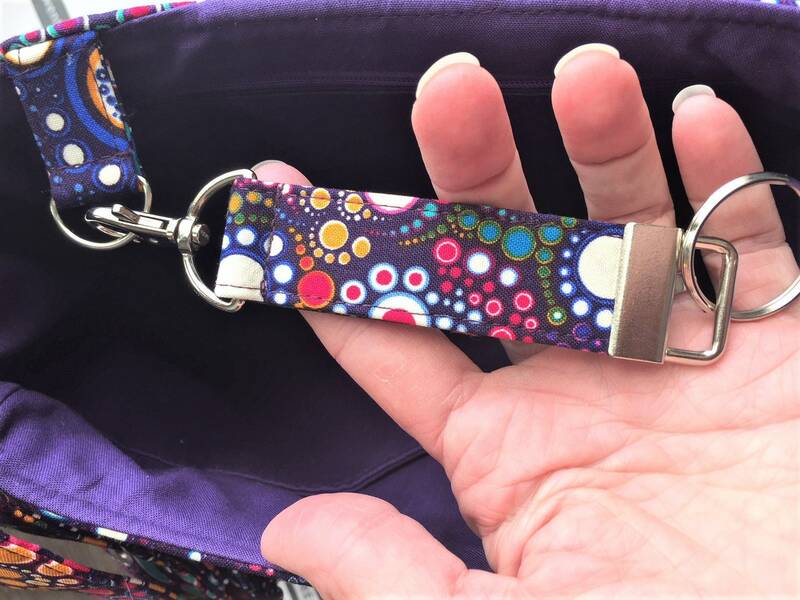 Comes with a matching key fob. 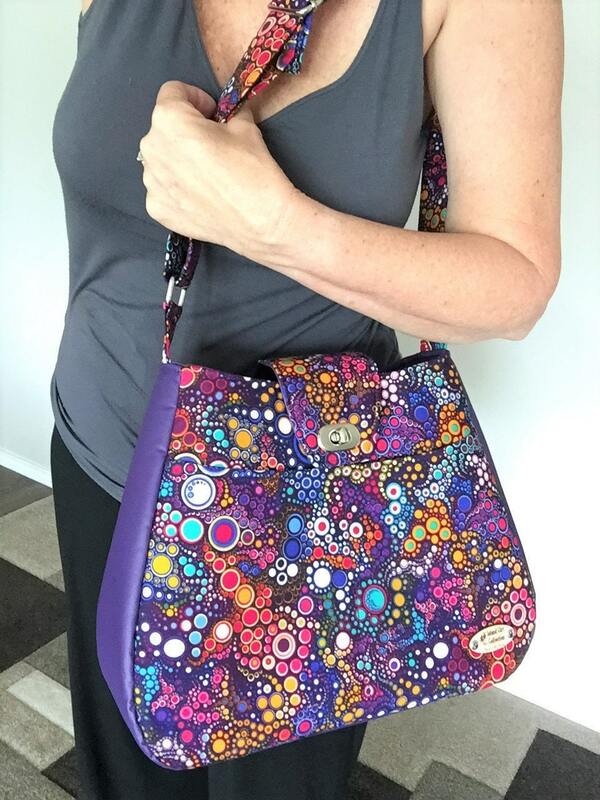 • Adjustable shoulder straps adjust from 21 1/2"" to 41" long; strap drop from 11" to 21"
• Strap width: 1 1/2"